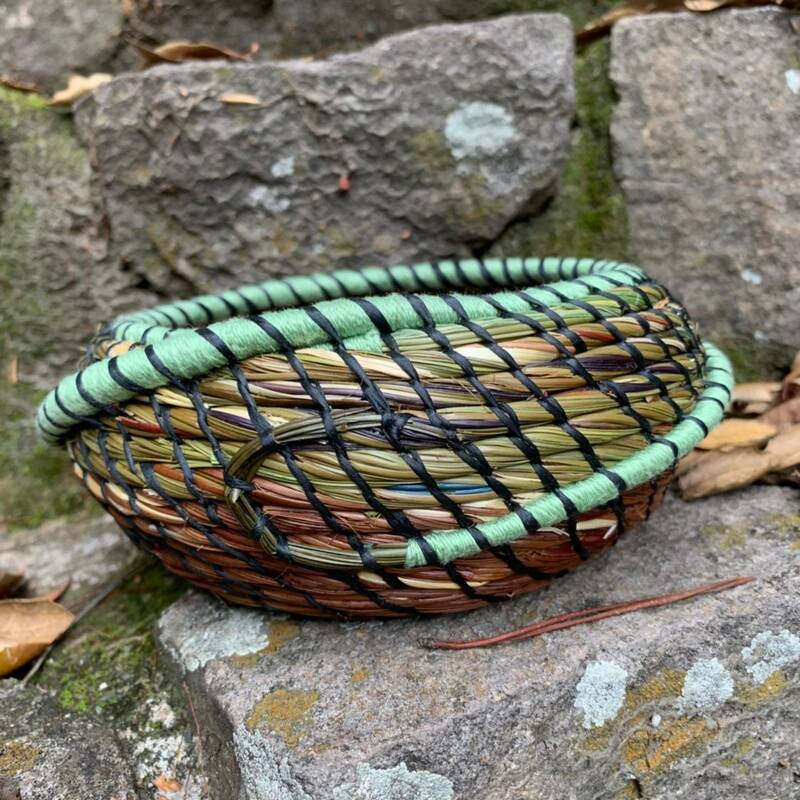 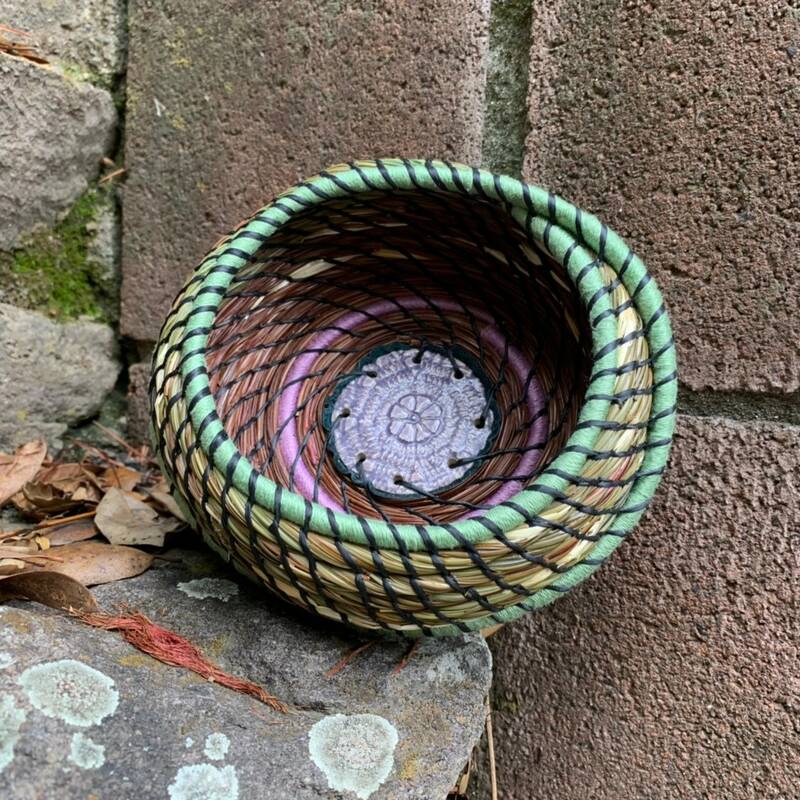 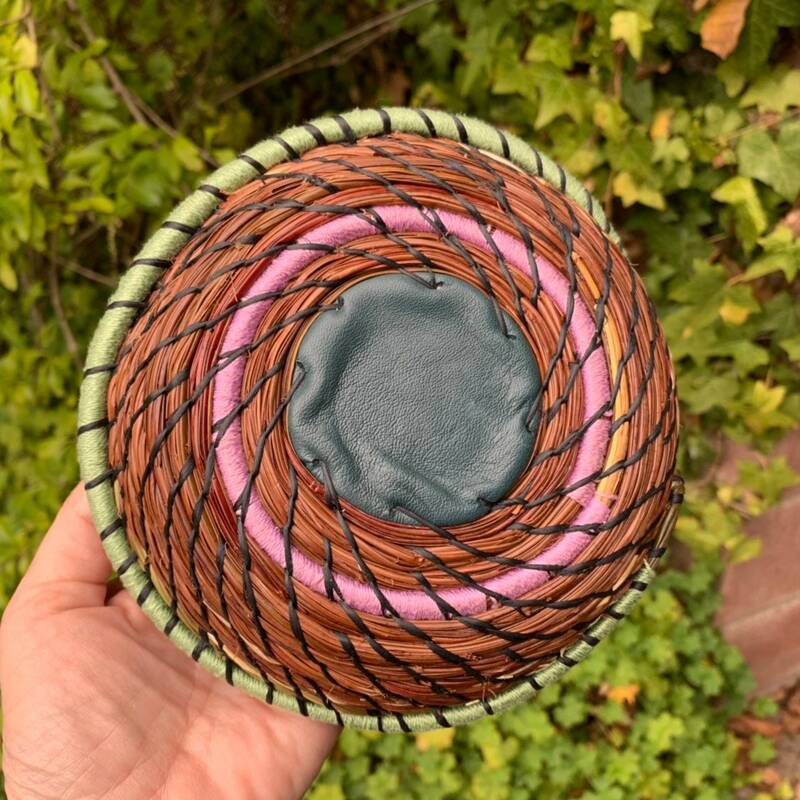 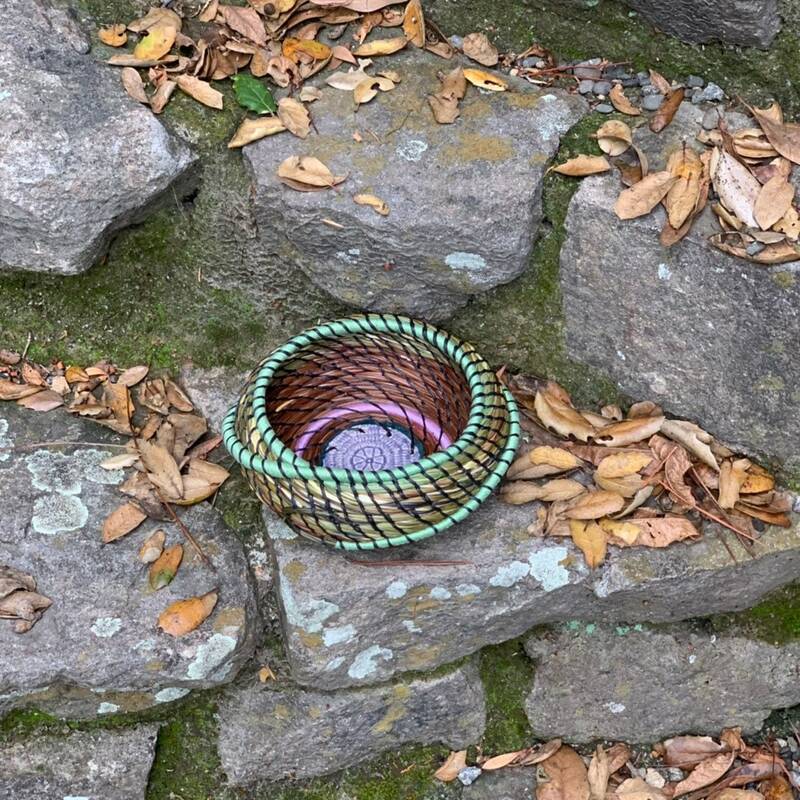 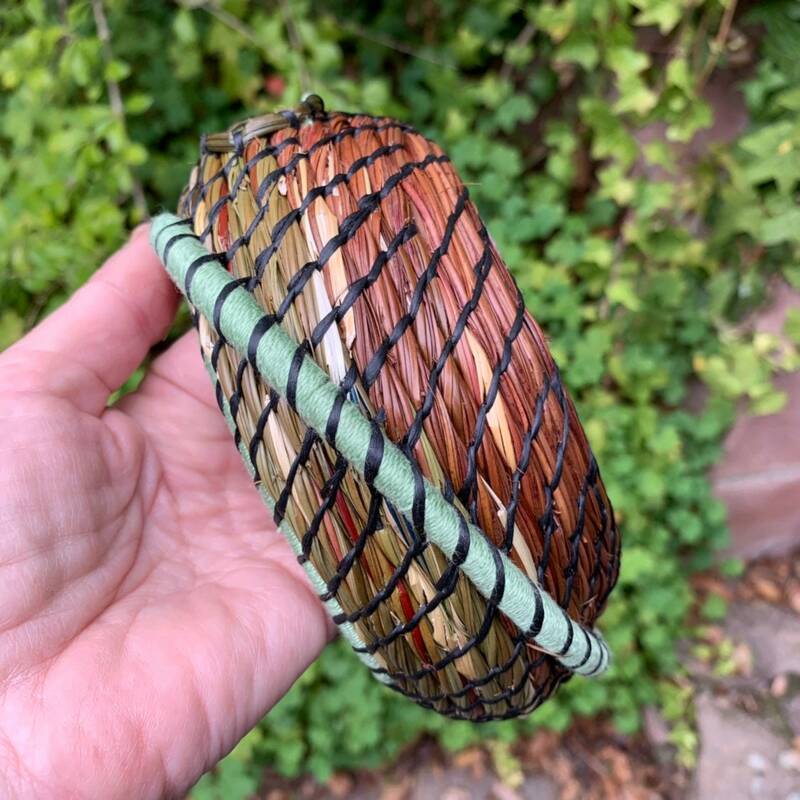 This Trinket basket is coiled with pine needles, sweet grass, and juncus rushes, embellished with embroidery thread in complimentary colors and secured solidly with synthetic sinew. 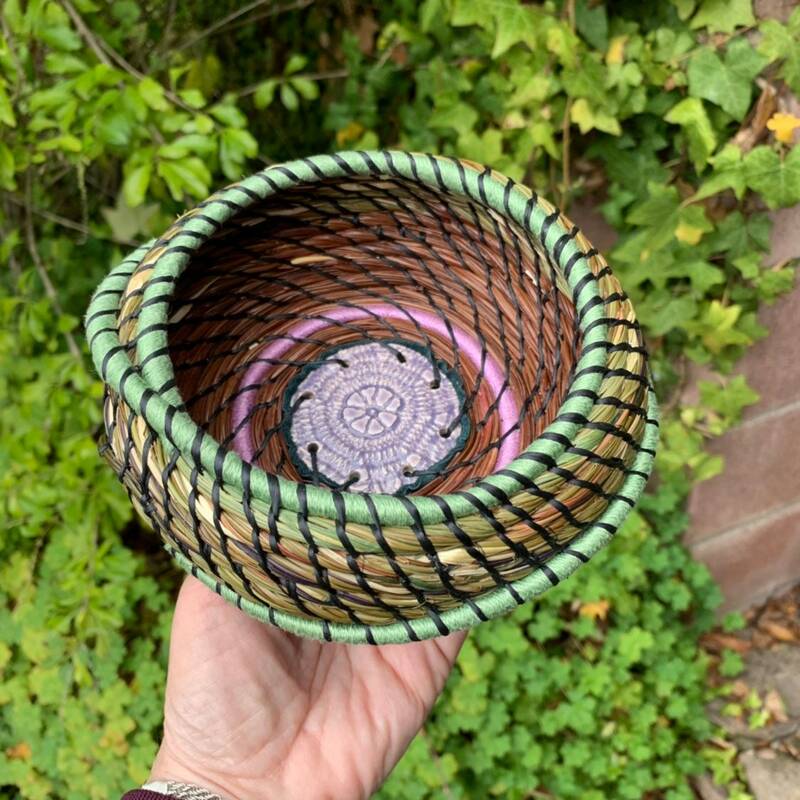 The basket grows out from a beautiful ceramic center that is elegantly backed by a rich green leather. 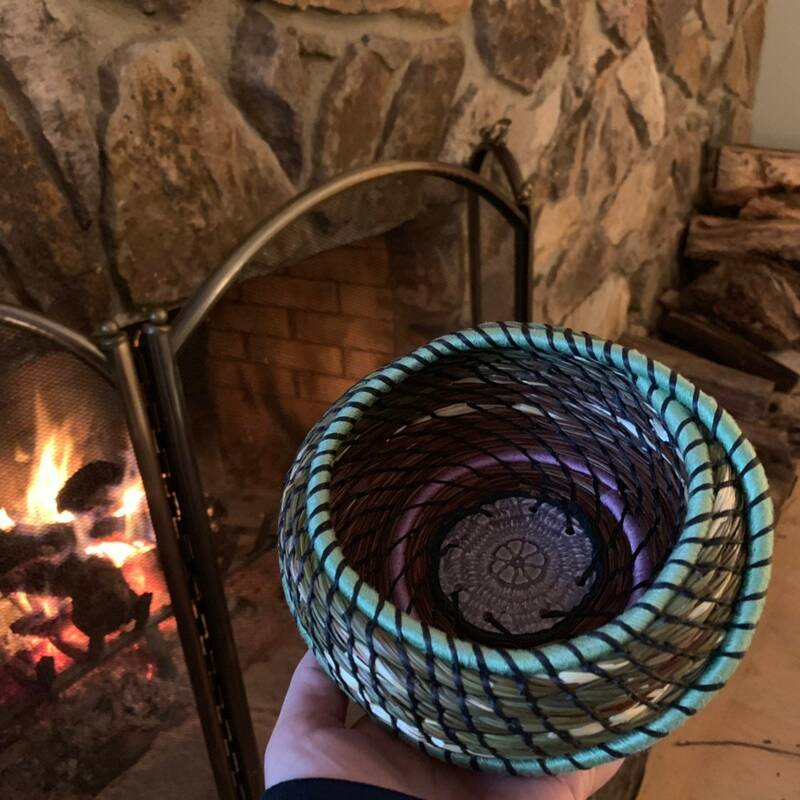 I used a very small sized gauge to contain the coil for precision. 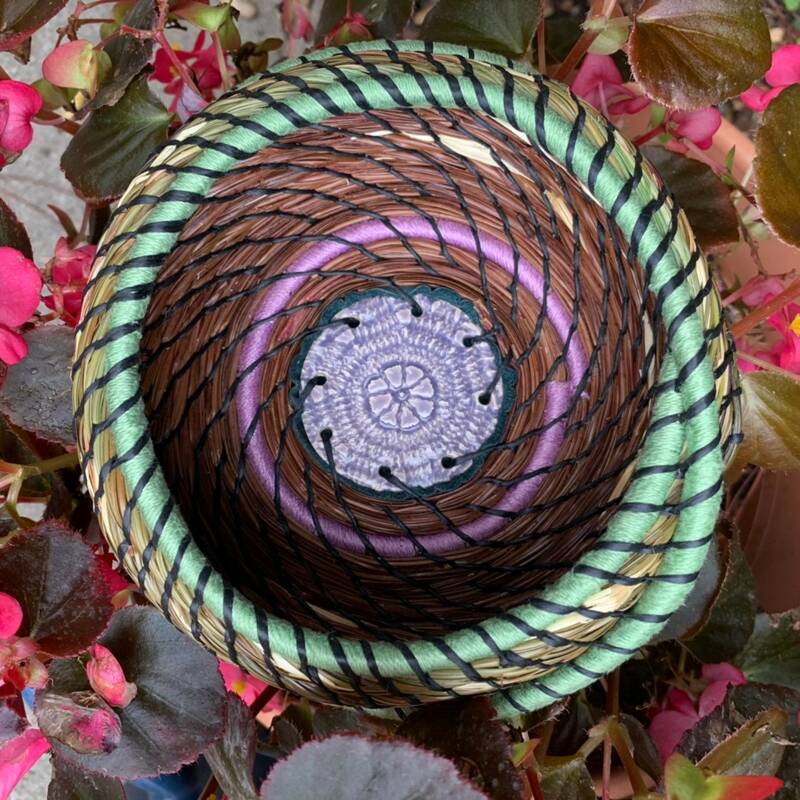 The gauge helps keep the coil the same size so that it doesn’t get wobbly as it grows. 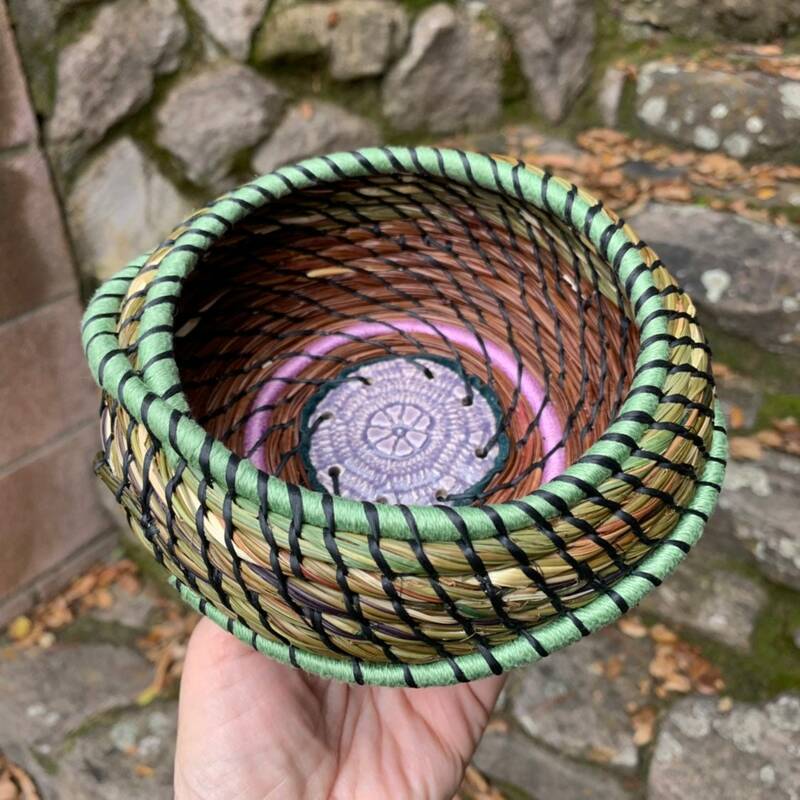 This size basket is perfect for small treasures, house keys, guitar picks, or jewelry. 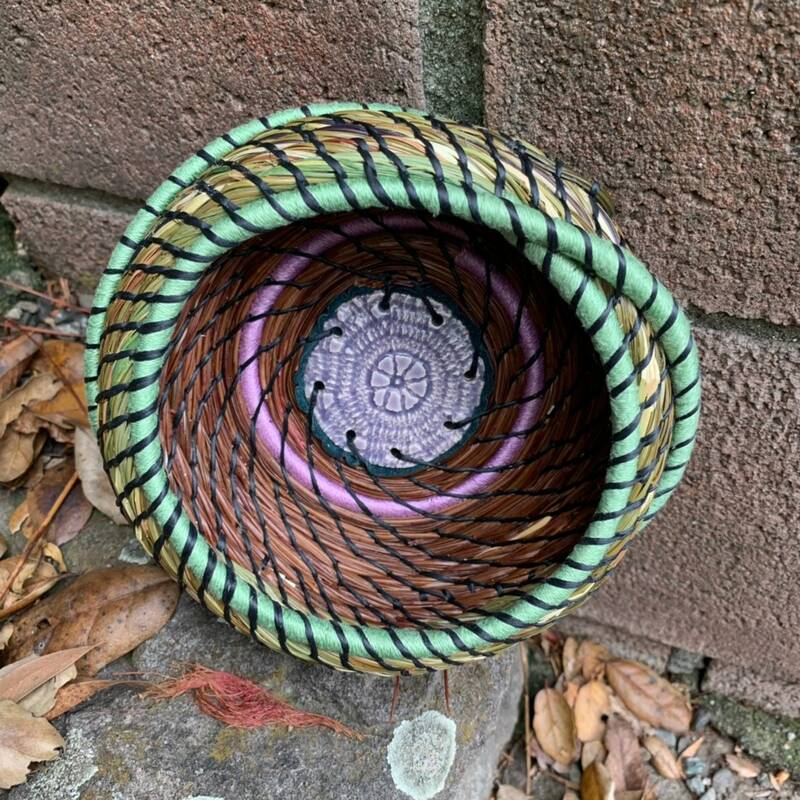 Consider giving this for housewarming, birthday, Christmas, or birthday.